My name is Bubbles and I live in Haarlem with my two best friends. 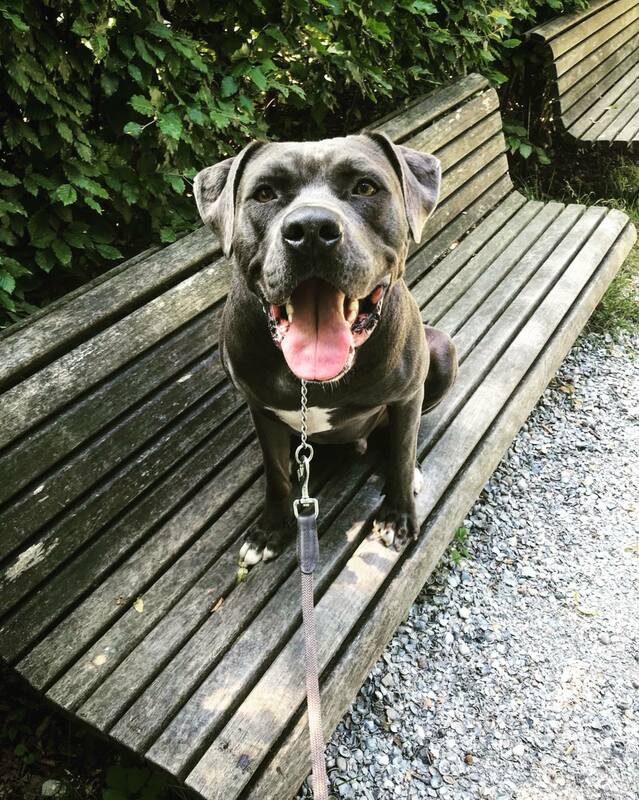 I’m a 2 year old adopted Cane Corso mix, that loves to meet new people and puppies alike. Treats are definitely my favorite thing in the whole world, but I do like having to work for them! Do you want to come practice with me in the park? My mom calls me her little bulldozer... and I think it’s because, sometimes forget that I’m a big boy already. So if you’re under the age of 10 and you wanna come play, she will be there to make sure I behave like a gentleman! But I am very good with any other dogs! Big or small, young or old, boy or girl, fluffy or not! Everyone is just a new friend to play with! So if you feel like coming over for a visit or a walk, let my mom know. I also love going on bus rides so if you’re not too far away we can even come pick you up for a walk!